If you have not done so, head over to https://juji.io/signup to create an account. All you need for creating an account on the Juji platform is a working email address. 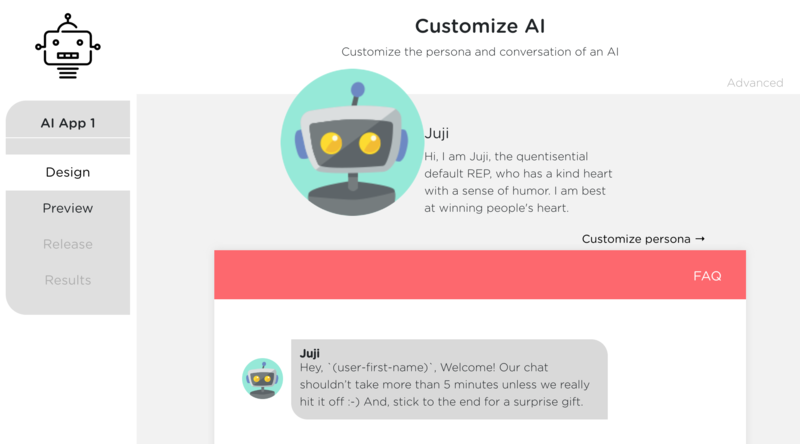 After you sign in to Juji, follow these simple steps to create and deploy your first Juji chatbot. 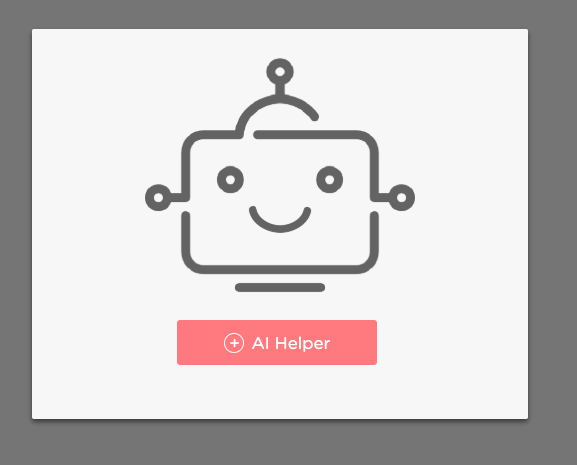 Click the green + AI Helper button to start creating your first bot. Your first bot is called "AI App 1" by default, you can change the name later. Click the Start Now button, you can now choose a template for your bot. 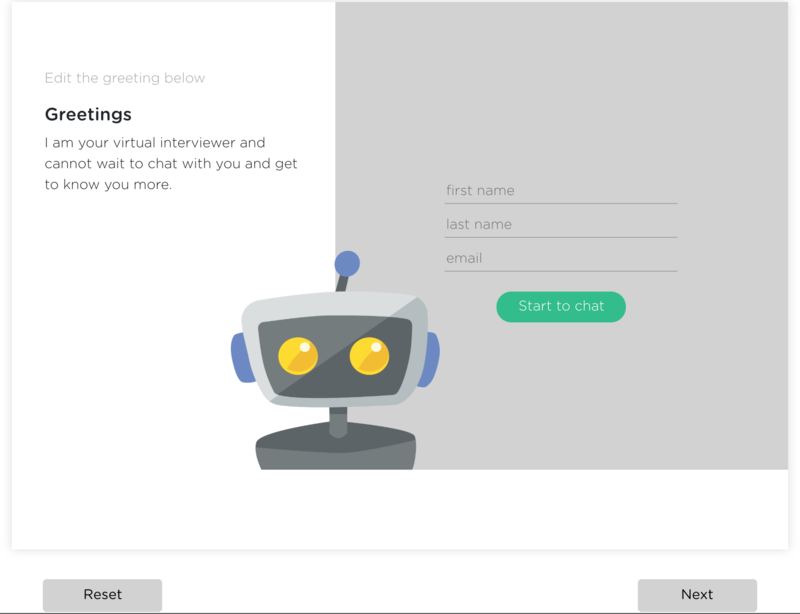 Choose any one of the templates, say conduct an B2B interview, and click Continue button. Now you get to a page where you could customize your bot. But let us not get too far ahead of ourselves, instead let us check out what the bot can do right now. Click Preview button at the left menu, and wait a few seconds. Now we see that our first bot starts a chat. You can chat with the bot to see how it does. It is pretty cool, huh? Now let us release the bot to the world! Click Release menu on the left. Click Get Started button on the Web channel. 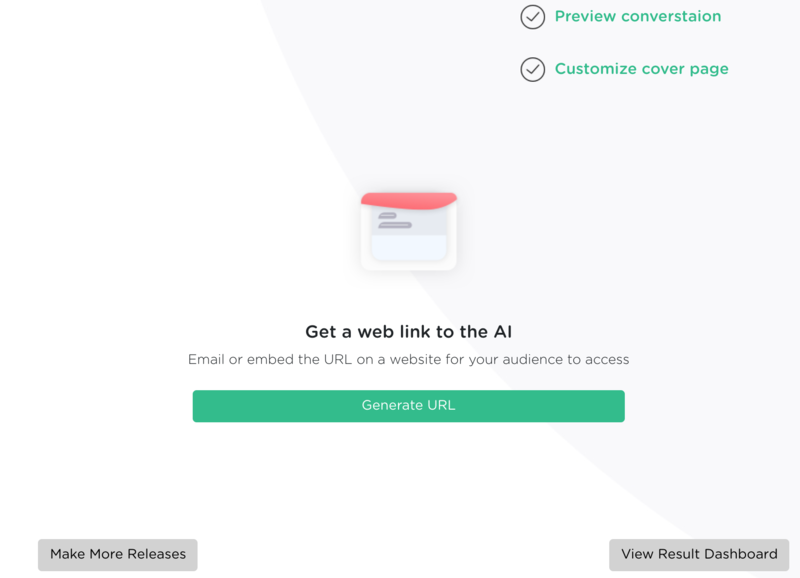 Now you get to a page where you could customize the cover page of your bot. We can do that later. Click Next at the right bottom. Now your bot is deployed. You have two URLs. 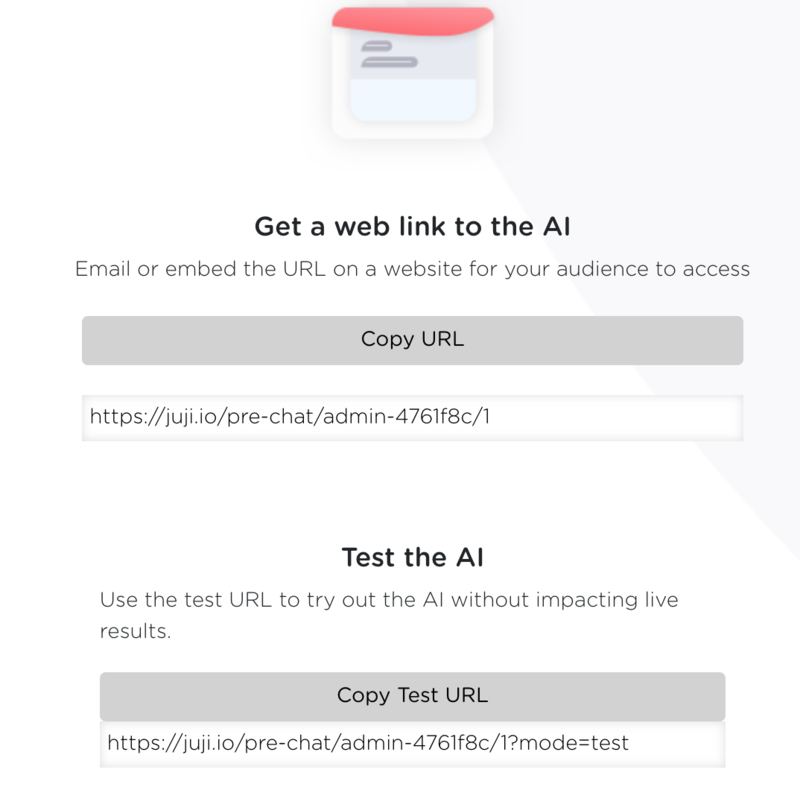 The first URL is the production deployment of your bot. The second URL is for sending to your friends for testing. The two URLs host the same chat bot, but the later will not be included in your results reporting. Point your browser to the URL generated above. 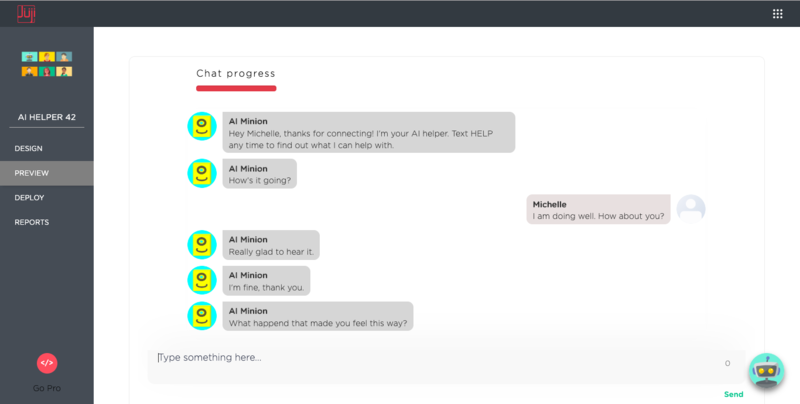 Only first name is required for chatting with Juji bots (but is configurable by you). 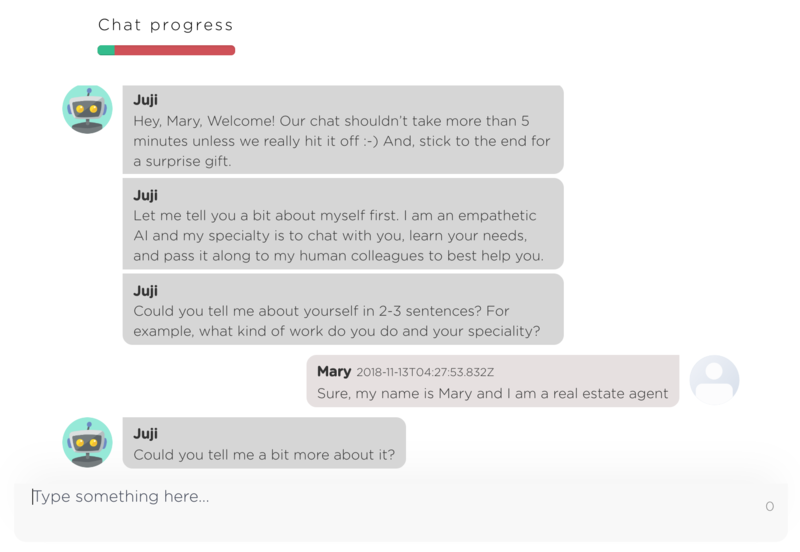 You are now chatting with your first deployed Juji bot! As could thousands of others at the same time, for 24 hours a day and 7 days a week!